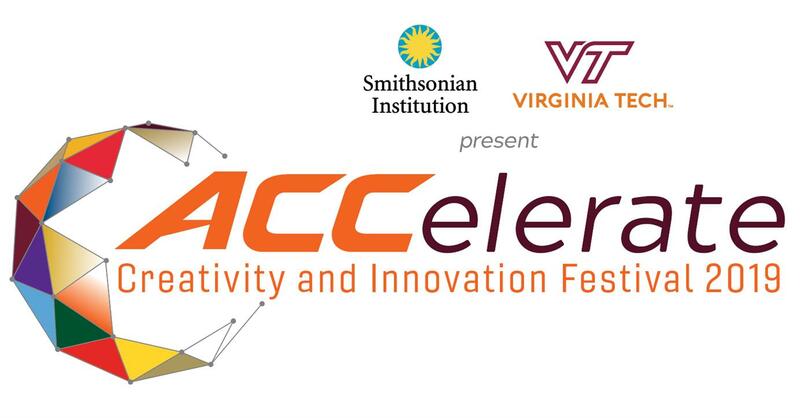 At the forefront of innovation and creativity, the 15 members of the Atlantic Coast Conference (ACC) will come together for the second “ACCelerate: ACC Smithsonian Creativity and Innovation Festival,” April 5–7 at the Smithsonian’s National Museum of American History in Washington, D.C. The festival will showcase cutting-edge technologies that draw upon art, science and humanities to address global challenges. Presented by the Smithsonian’s Lemelson Center for the Study of Invention and Innovation at the National Museum of American History and Virginia Tech’s Institute for Creativity, Arts, and Technology, the three-day festival will provide an opportunity for visitors to engage with leading innovators of creative exploration and research at the nexus of science, engineering, arts and design. The event is free and provides the ACC’s member institutions an opportunity to display their work to each other and, more importantly, to the public. Student performances, conversational talks and interactive exhibits will feature digital humanities projects, musical performances and creative art displays, 3-D printing, robotic processes and multimedia exhibitions, among others. In addition to the 38 featured interactive installations and 13 performances by students and faculty throughout the three days addressing themes of culture and society, environment and health and body, the ACC Debate Championship, representing the 15 universities comprising the ACC will also be held on location. What do you think about the event ?